My coaching will enable you to reconnect with your authentic self, that deep-seated well-spring of clarity, courage, compassion and wisdom that lives within each of us. Together we will explore what brings you alive, what gives you meaning, purpose and fulfilment, and in a safe, courageous environment, we'll listen as your life speaks. We will design our coaching relationship so that it which best serves your needs and aspirations, and ensures you achieve more of what you want. Whilst we will focus on specific areas which are important to you, I will coach you as a whole person and bring powerful models, tools and exercises which will help you realise your full potential in all areas of your life. Change takes time and I recommend a minimum of six sessions to achieve meaningful results. I offer blocks of 6 x 1-hour sessions of compassionate, powerful and transformative coaching; connection between sessions by email for sharing your insights, challenges and growth plus shared reading, listening and video resources to support your learning and growth. Coaching sessions take place fortnightly or more frequently at your request. If you'd like to get in touch about coaching, without obligation, share your name and email address below. You’ll also be among the first to hear news of group coaching programmes and online personal development courses. Thank you! I will send you details of my Believing I Am Enough online course very soon. I will work well with you if: you are naturally curious about life and your own growth and development; you’re not afraid of self-exploration and ‘inner’ work; you appreciate humour, metaphor and creative use of language; you’re open to exploring purpose, meaning and fulfillment; you're suspicious of psycho-babble and give quick fixes a wide berth; you are seeking a compassionate and courageous coach who is authentic, honest and challenging in service of your growth; you are ready to grow. As a professional Co-active® Coach I will hold you to be the expert in your own life. Together, we will design our coaching relationship so that it best serves your needs and supports your learning and growth. You can count on me to be authentic, honest, compassionate and challenging. I will also support and champion you, and am ready to explore the shadows as well as the light. I am deep listener, committed to hearing your most sacred stories. I appreciate humour and metaphor and weave these into my coaching to make your learning as rich and impactful as possible. Lasting and meaningful change entails ‘inner work’ and I will support you wholeheartedly, with compassion and in confidence throughout. I offer a free, no-obligation 30-minute Discovery Session which enables you to get a feel for what you could achieve through coaching. We will also answer any questions you might have and help you decide if there is value in coaching for you right now. 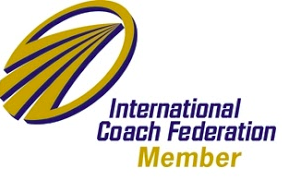 During the session we will discuss the coaching process before working together an area on which you wish to be coached giving you the opportunity to experience the unique impact of Co-Active Coaching. All Discovery Sessions (and any subsequent coaching relationship) are in complete confidence. This is a telephone or Skype call with no cost and no obligation. You have nothing to lose but the doubts and fears that are preventing you from living a more fulfilling and joyful life.